Does Background Screening Affect Your Credit Score? We are asked this very often, and answer is no. Most individuals assume that when a background check is preformed everything in that person history is looked at. This could be the case, but most businesses request consumer reports that tie directly to their individual business. Data Disclosure Services, along with our clients will tell an applicant the specific consumer report that will be run on them. The only screening report that will touch your credit report is a credit report. And even then, a credit check is viewed as a “soft” inquiry. Credit Reporting Bureaus view inquiries as either “soft” or “hard”, all coming from a request to view your credit report. A hard inquiry is one that you have applied for a loan, a line of credit, a mortgage, etc. and will probably take on new debt. A soft inquiry is just a viewing request with no new credit applied. Soft inquiries do not affect your overall credit score and in most cases can not be seen by others than yourself. 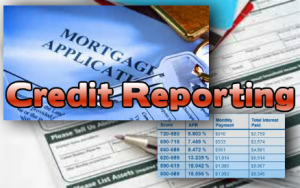 Perspective employers or lenders cannot see soft inquiries on your credit report. Keep in mind that under the FACT Act you have the right to obtain a copy of your credit report each year for free. Data Disclosure Services does not provide this service but you can learn more about it here: www.consumer.ftc.gov/articles/0155-free-credit-reports. To obtain your free copy start here: www.annualcreditreport.com.